It was the winter of 2002. 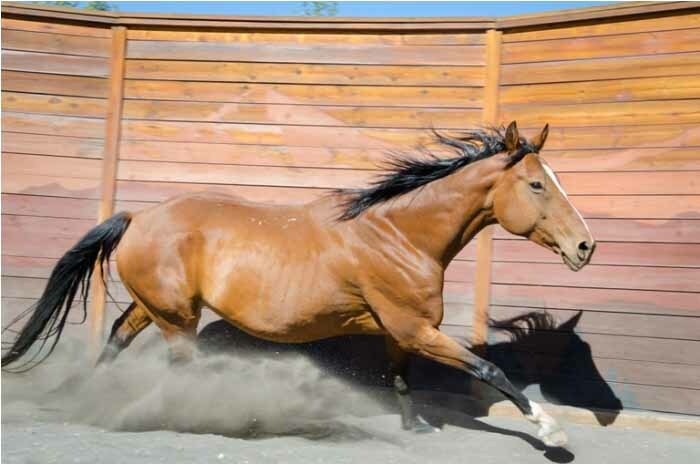 The Millican horse recovery would become the largest equine rescue in Oregon State history. Walking through unparalleled carnage, my eyes tried to take in what my mind never thought was possible. Evidence of the dead lay scattered in a tangle of dry bones at my feet. Numbness seized my soul as I drifted through the churning herd of more than one hundred and thirty horses. I glanced at my husband over the sea of serrated spines. His bewildered face was streaked with compassion. No words could describe what stood before him. All he could do was raise his arm and point. When the tide of ragged coats parted, I nearly fell to my knees. There stood the most ravaged filly I'd ever seen. She was the living dead, a tottering skeleton. Perhaps she would be the next to collapse into oblivion. On the day of her rescue, we documented the filly as a two and a half year old Thoroughbred/Quarter horse cross. Under normal circumstances, she should have been approximately 16 hands tall and weighing nearly 1200 pounds. Instead, she stood at barely 13 hands and was estimated by several attending veterinarians as weighing less than 400 pounds. She was missing approximately twelve inches of her normal height and fully two thirds of her body weight. Few of her joints seemed to move well. She appeared to be so weakened by starvation that she dared not flex her knees for fear that her atrophied muscles would not hold her up. Wounds on her lips, chest and knees gave silent bloody witness to this truth. She stood very still except when jostled by the shifting herd. When bumped, she steadied herself with legs so stiff that her movement resembled that of a tin man. In nature's final attempt to save precious body heat, the filly had grown a two-inch layer of lanugo, abnormal "wool" that presents in severe starvation cases. This excess hair was growing into her ears, nostrils and lips. Even still, much of the flesh on her back had frozen and was sloughing off in stinking, necrotic flaps. I didn't think she would survive through the night. The filly, along with approximately thirty other horses in critical need, were carefully transported to an intensive care facility. The remaining 100 horses were moved to the county fair grounds, where a team of volunteers treated them. After many months of care, the starving filly was strong enough to stand in a trailer and travel to her new home at Crystal Peaks. We named her "Phoenix", in honor of her brave little heart that—by the grace of God—rose from the ashes of certain death. In her first six months at the ranch, Phoenix, affectionately dubbed "Phoebe", had grown three inches taller and had gained nearly 500 pounds. As her "wool" fell away, an extraordinary horse emerged. The once destitute filly had grown into a beautiful, playful, engaging horse. The ranch staff and I have often seen those who spend time with Phoebe, leave her corral in silent tears. It's understandable when they stammer for an explanation of how this young mare has moved them toward healing and resolution. Often I've shared with kids that if you watch Phoebe, really watch her, you will see a very slight "smile." She is so happy to simply be alive. Perhaps like an equine Mona Lisa, she just seems to eminent pure contentment and good will. Phoebe survived her ordeal and is fully recovered. She has since become a wonderful ranch horse and dear friend to many of the children and families who visit the ranch. (More of Phoebe's story can be read in Bridge Called Hope, page 82-138).